Deputy Secretary General of the UN, Jan Eliasson, warned that the world is experiencing a "crisis of employment" with the youth as the main victim and warned of the consequences of failing to address that problem. "It is essential to do more to create jobs for young people. Their frustration is understandable and undermines the belief in government and national institutions," Eliasson said in a speech to the United Nations Economic and Social Council (ECOSOC). According to the UN, about 73 million young people around the world are looking for work and are three times more likely than adults to be unemployed, while "many are stuck in jobs where they are exploited." "The world is experiencing an employment crisis and our young people are bearing the brunt," Eliasson said. According to the UN, it is crucial that young people receive adequate education and training to enter the labor market and to support new entrepreneurs to create jobs at a time when unemployment and underemployment remain high. "Too many people can not access decent jobs that offer fair wages, good working conditions, access to social protection and freedom of association," said Eliasson. Among other problems, the situation with immigrants has been highlighted. This category of people faces the risk of "exploitation and discrimination" and women, who earn less than men, often have to work in dangerous conditions. 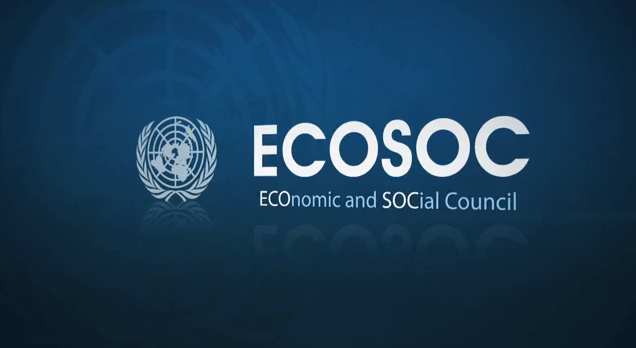 Eliasson spoke at the first day of the ECOSOC meeting, which will discuss ways to achieve sustainable development through the creation of decent employment.